We are Manufacturers and exporters of high quality Golden Syrup Invert Sugar from India. Our Golden Syrup Invert Sugar is widely used in various Industries including Hotels, restaurants and Coffee shops. 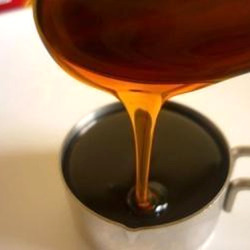 OurGolden Syrup Invert Sugar is widely used in bakery, soft drinks, ice creams , herbal cosmetics and squashes etc. We are exporting Golden Syrup Invert Sugar to various countries like Middle East, Dubai, Poland, UAE, GCC, Jordan, Israel , whole Europe,(Germany, Polland), UK, Indonesia, South Korea, Africa (Especially South Africa). We are providing a wide range of Sweet Golden Invert Sugar. Our products are enormously well-liked by clients due to their longer shelf life. Experts as per worldwide industry standards process this product. These products are hygienically processed under the stringent control and direction of the industry certified professionals, who keep a vigil eye on all the ongoing production procedures to ensure the purity and quality.